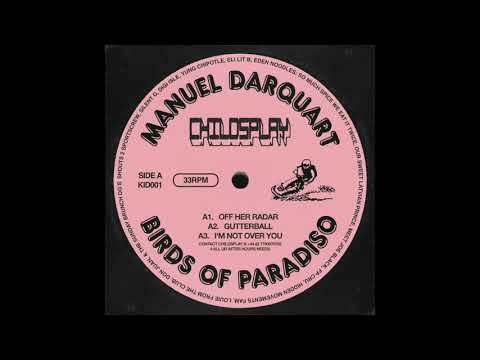 Manuel Darquart (soundcloud) is the alias shared by Sean Whittaker and Louis Anderson-Rich, two Auklanders and long-time friends bringing their love of 80’s post-disco into the present with a serious touch of class. Having recently released on Seb Wildwood & Hollick’s Coastal Haze, Manuel Darquart have been melding the cosmic ends of house and boogie with an effortless strut since 2012. The duo now prepare to kick off their third release with East London based Childsplay, a perfect home for their laid back and redolent Birds of Paradiso EP. Sharing similar balmy territory with Harvey Sutherland and the Poolside boys, the track list plays out like a half-remembered summer’s day out with friends and family. With Bolting Bits’ premiere, Gutterball, melodic flourishes noodle and wash throughout the mix as crunchy hats swing and toms stagger about. Warmly filtered pads fill out the mix and the track allows itself to crystallize and settle into a breezy and buoyant roller. It makes for an effective reminder that even though the weather is beginning to turn, the good times needn’t stop when the heat and sunshine are dripping from your speakers. Get your copy via the Childsplay Bandcamp page.